The mayor of Beijing said Monday that the capital would support multinationals which plan to set up research and development centers and widen channels for attracting global talent as part of the city's efforts to become "an innovation center of science and technology." Mayor Chen Jining said at the opening meeting of the annual session of the Beijing Municipal People's Congress on Monday that the city's high-tech industry clusters had sound growth in 2018. The city's high-tech zone of Zhongguancun took 20 measures in 2018 to attract overseas talent, he said. The number of national high-tech enterprises in Beijing reached 25,000 in 2018, up 25 percent year-on-year. On average, 199 high-tech startups opened in the city every day. The city has 80 startup firms each worth more than $1 billion, ranking first in the country, he said. The city set up a 30 billion-yuan ($4.45 billion) science and technology innovation fund for incubating new technology last year. 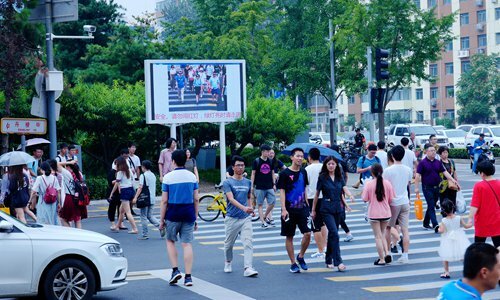 The city government issued policy guidelines for 10 key high-tech sectors, including 5G, artificial intelligence, medicine, health and intelligent connected vehicle technologies. The mayor said that for 2019, the city government would continue to expand global channels to attract science and technology talent, encourage universities to beef up the building of innovation centers, and give support to young and innovative entrepreneurs. Chen said Beijing would push for a series of key projects in 2019, including the manufacturing base of Beijing Benz new energy vehicles, IC production.